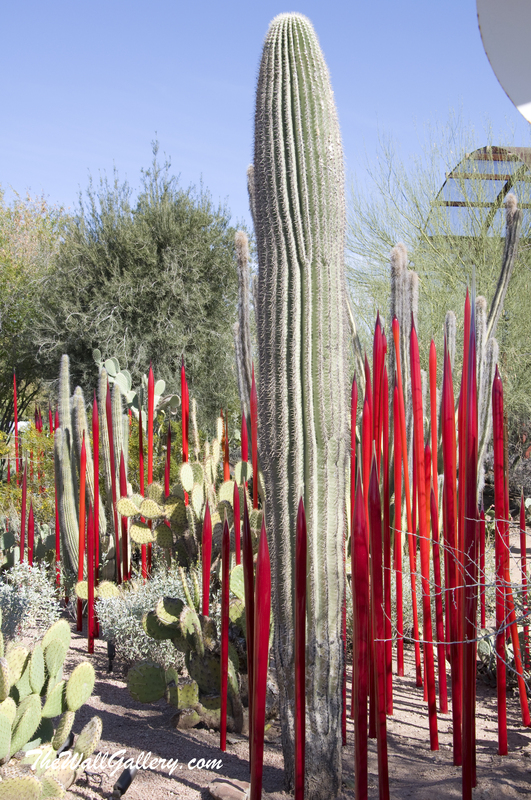 My wife and I went to the Desert Botanical Garden in Phoenix last week to check out the Chihuly Exhibit. We have seen the Chihuly Exhibit at the Seattle Center, but wanted to see what his work would look like scattered amongst desert plantings. The first shot is in the garden giving you a feel for the surrounding environment. The garden is situated in such a way, you forget you are in a metropolitan area of over 4 million people. 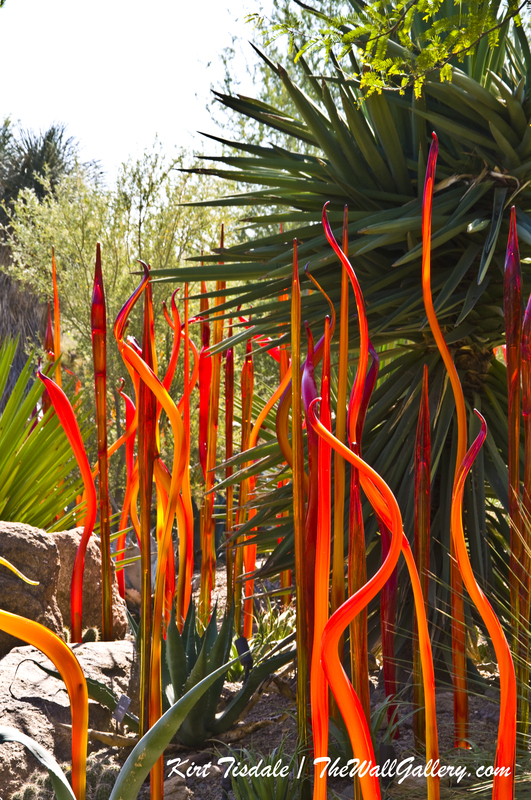 Within the garden, I included two shots of Chihuly glass work amongst the desert flora and fauna. The contrast between his bright-colored displays and the plants were amazing. The displays are also lit up at night which we have seen pictures of and that creates an entirely different experience. The work is stunning both day and night. Enjoy!! All domestic orders over $60.00: Free Shipping!! This entry was posted in Art Prints, Color Photography and tagged arizona, art gallery, art prints, botanical garden, cacti, cactus, chihuly, color photography, desert, desert botanical garden, desert plants, glass blowing, kirt tisdale, landscape, landscapes, online art gallery, outdoors, phoenix, photographer, Photographers, photography, red butte, red rock, Visual Arts on February 28, 2014 by Kirt D Tisdale. “Green” is from my Gardens Gallery. The setting is a vine growing up a moss-covered tree deep in the Pacific Northwest Woods. 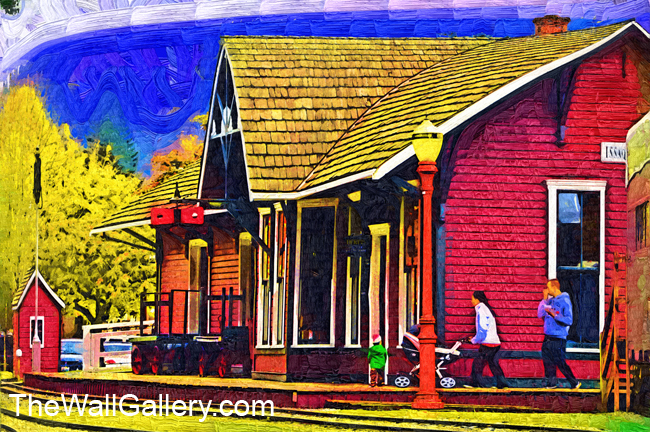 This art print is one of 39 new works added to the Garden Gallery collection this week. 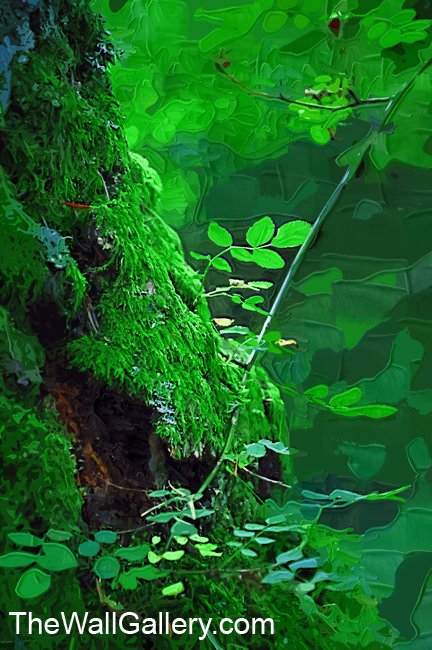 I chose this particular print to highlight because the amount of green is an obvious, but the subtleness of the vine and moss pulls the eye into the picture creating that moment of “what exactly is this?”. I used a painting technique with large prominent brush strokes. They add a texture that gives more depth to an all green print! Enjoy! This entry was posted in Art Prints, Landscapes: Oil and tagged art, art galleries, art gallery, art prints, artist kirt tisdale, flora, forest, green, hiking, independent artist, kirt tisdale, moss, oil painting, online art gallery, pacific northwest, photographer, photography, Plants, rural, trees, vines, woods on February 25, 2014 by Kirt D Tisdale. As a follow-up to my “A Walk in the Desert” two weeks ago, I have attached the final two shots I wanted to share from that hike. The first one shows that plantings and a garden are possible even in a desert. 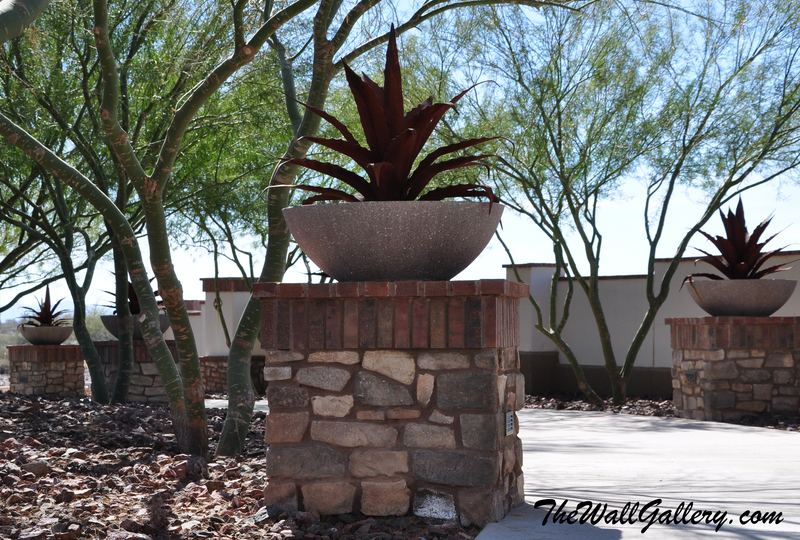 There is a lot of use of rock, stone and pots, but everything is lined up in a visually inviting way. The trees provide the much-needed shade along the walkway and create an environment of tranquility. The second shot is a close up of the potted plants. The irrigation is provided internally through the posts and the pots. 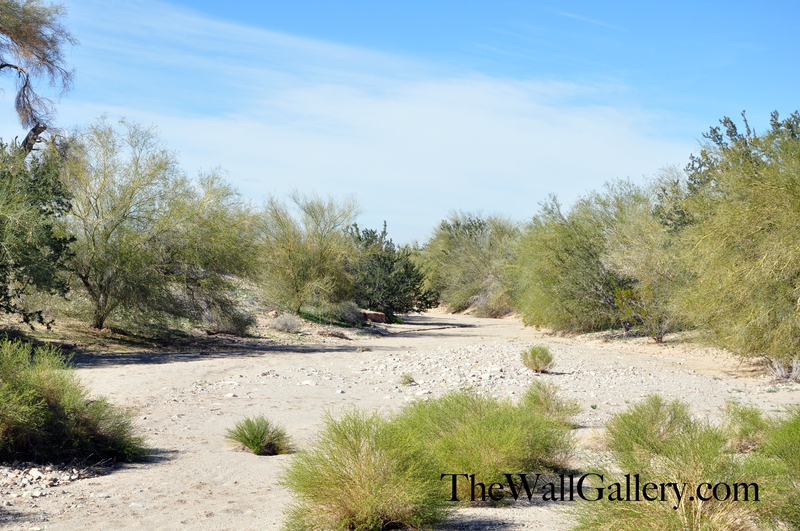 The plants are native to the desert and are naturally drought resistant. I included these shots not only for the aesthetics of the garden, but to highlight with planning and thought, even a desert can have a garden type element to it. Enjoy!! 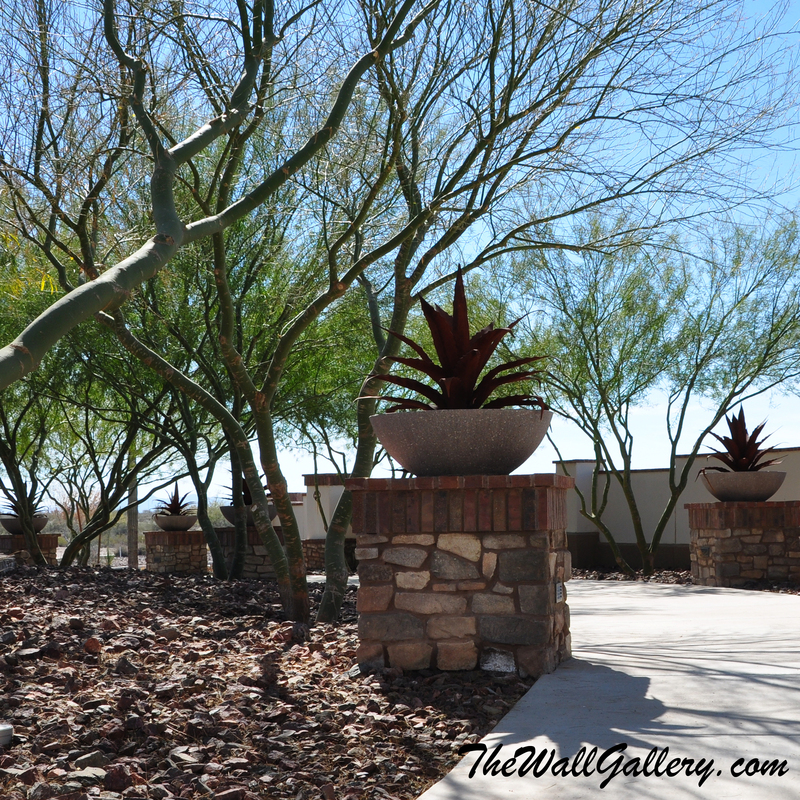 This entry was posted in Art Prints, Color Photography and tagged arizona, art gallery, art prints, artist kirt tisdale, color photography, desert, desert garden, desert plants, Garden, Gardens, landscape, landscapes, online art gallery, outdoors, photographer, photography on February 20, 2014 by Kirt D Tisdale. “The Barn and the Water Pump” is from my Architecture Gallery. 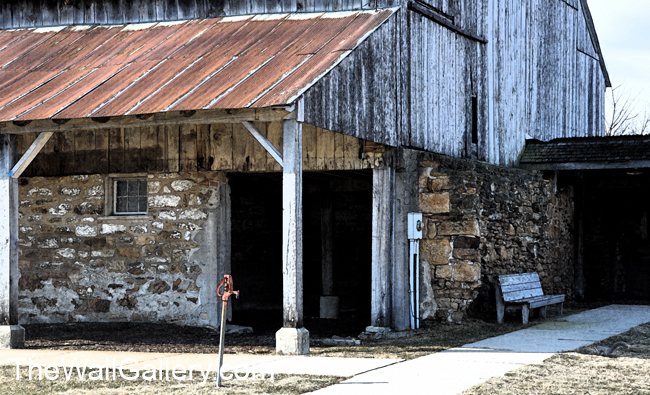 The setting is a barn in the Amana Colonies, Iowa during mid winter. The barn itself is very large with stables just to the left of this viewpoint. I chose this particular shot because it highlights the weathered look of the building and the subtleness of an old water pump in the foreground of the scene. 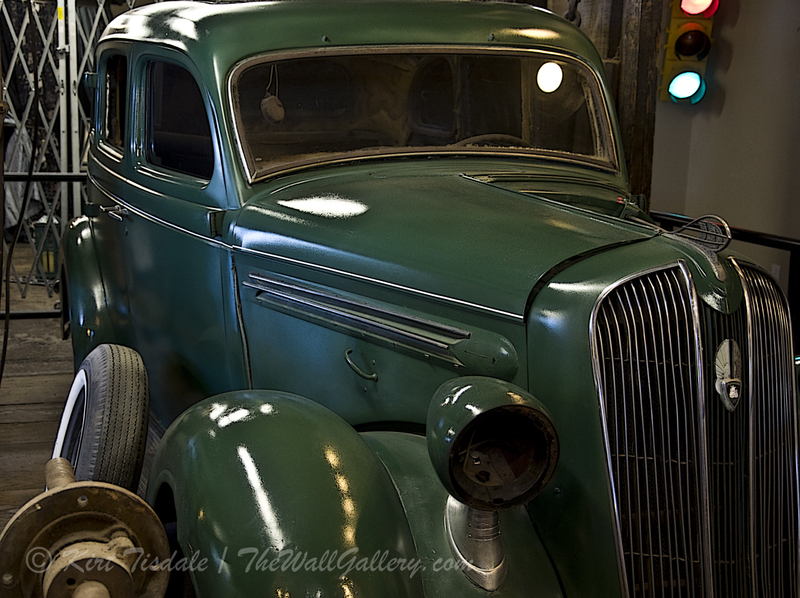 I Love the water pump, it just seemed to make the picture. I tried a variety of painting techniques, but for the look I wanted settled on the watercolor style. It adds softness, yet highlights the rustic look. Enjoy! This entry was posted in Art Prints, Landscapes: Watercolor and tagged amana colonies, art, art gallery, art prints, artist kirt tisdale, barn, Barns, farming, farms, historic, independent artist, Iowa, kirt tisdale, landscapes, midwest, online art gallery, pump, rural, rustic, water pump, watercolor, watercolor art, watercolor landscapes on February 18, 2014 by Kirt D Tisdale. As a follow-up to my “A Walk in the Desert” last week, I am attaching two pictures from that hike. The first one I call Saguaro Group….I have no idea if this cluster grew naturally or is a left over from a previous land owner…none the less, it stands out very distinctly in the desert. 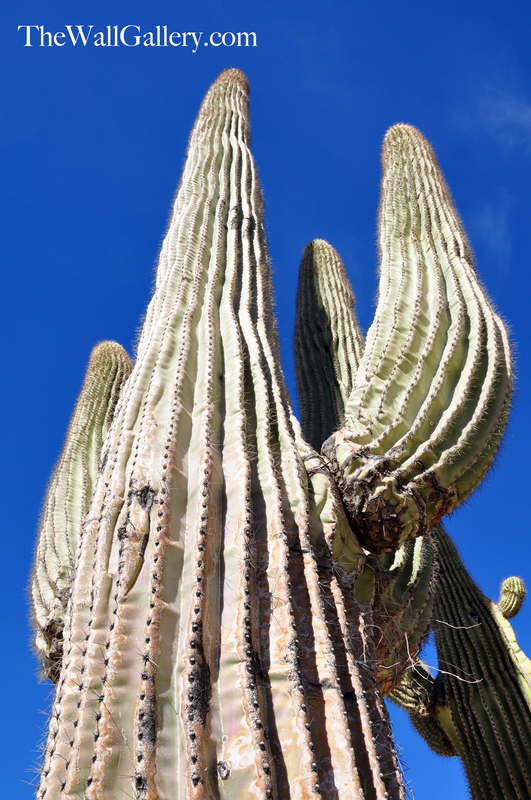 The second one is an up shot of a saguaro. I got as close as I thought I could, bent down and held the camera upward. I’m sure I looked ridiculous doing it, but what we don’t do for the right shot! 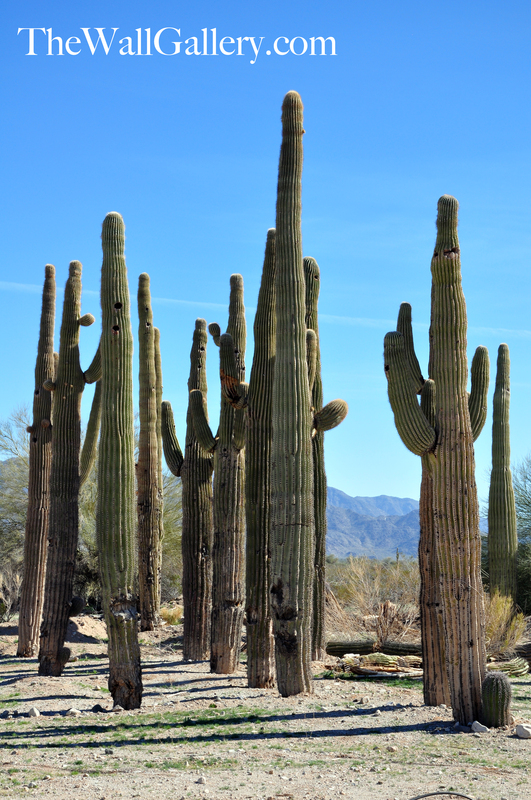 The saguaro is a national icon for cactus and specifically Arizona. They are native to Southern Arizona and Western Sonora, Mexico. Having lived in San Diego for so many years, whenever we would drive to Phoenix from California, the minute you crossed the border there they were. It’s as if they knew the state line and yet the border between the states is in the middle of the desert. Go figure. Enjoy!! 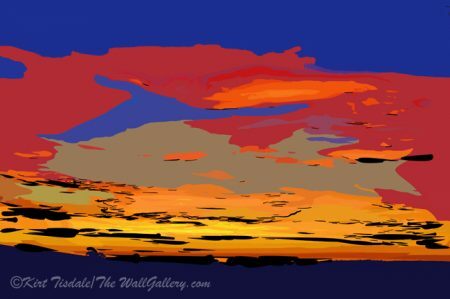 This entry was posted in Art Prints, Color Photography and tagged arizona, art galleries, art prints, artist kirt tisdale, cactus, color photography, desert, landscapes, online art gallery, phoenix, photographer, photography, saguaro on February 14, 2014 by Kirt D Tisdale. I go from the deep woods and snow of the Pacific Northwest to the deserts of Arizona. As an avid hiker, I was spoiled by the hiking opportunities offered in the Seattle area. There are trails everywhere and the scenery is stunning. Having just moved into a new home that we had built in the Phoenix area, it is requiring a complete shift in my hiking expectations. 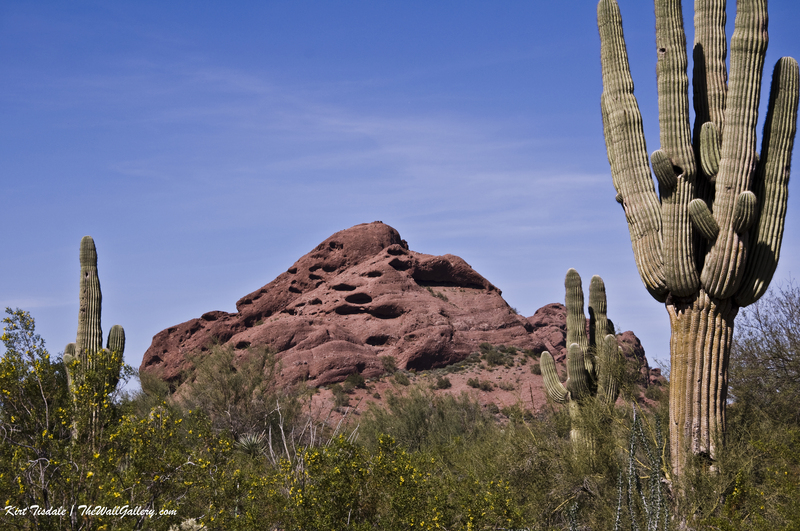 In the area where we live, there are a number of hiking trails into the desert. The following two pictures are from my first venture out last week. Believe it or not, these shots are from a trail just down the street….. 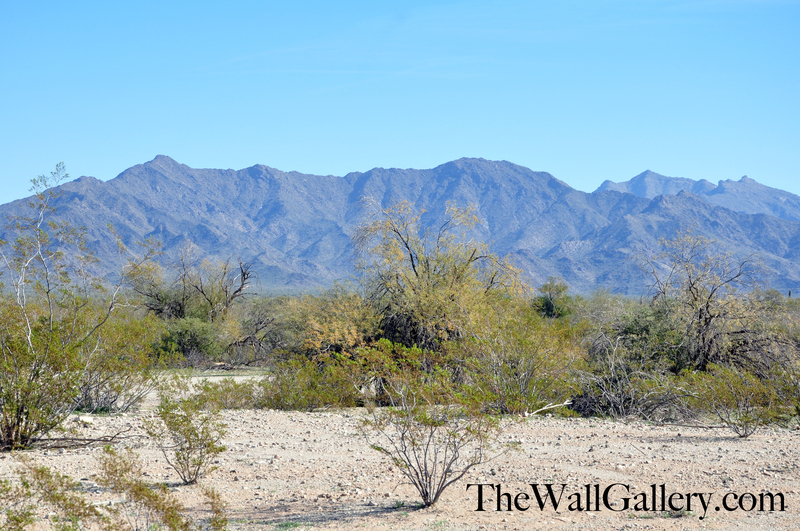 The Sierra Estrella mountain range is located southwest of Phoenix. There are a number of 4000 ft peaks, which can get snow. This is a typical wash that does see water flowing during the monsoon season in the summer. I took a series of shots that day…cactus will come later…. 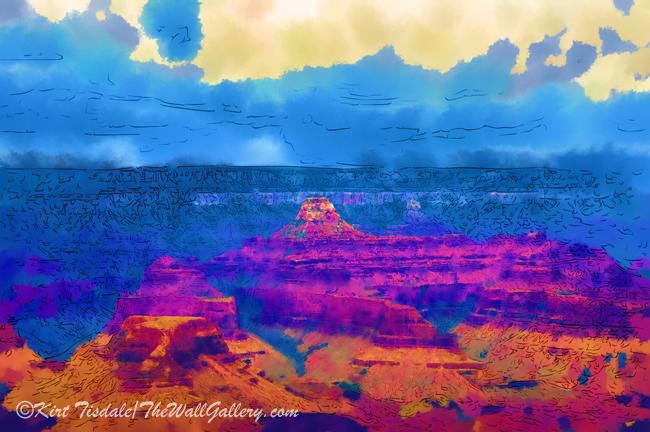 This entry was posted in Art Prints, Color Photography and tagged arizona, art gallery, color photography, desert, kirt tisdale, landscape, landscapes, mountains, online art gallery, phoenix, photographer, photography, sierra estrella mountains, southwest on February 7, 2014 by Kirt D Tisdale.